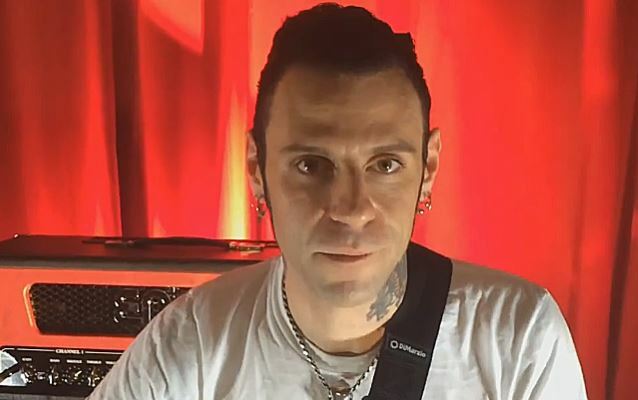 In the four-minute video below, STONE SOUR guitarist and ENGL endorser Christian Martucci explains why he decided to use the Retro Tube 50 head live on stage and he also shows you how it sounds. Martucci joined STONE SOUR in late 2013 as the replacement for Jim Root, who was fired from the group after deciding he wanted to sit out the band's last tour in order to start work on the next album from SLIPKNOT, of which he is also a member. Singer Corey Taylor said on "The Jasta Show" podcast about the record, "This is something that we've been talking about since the first album came out, with STONE SOUR. We've always wanted to do this. Even as people have come, people have gone, this is still something we've always come back to, and we just never had the opportunity to do it. And we just kind of said, 'Well, screw it.'"